All my life I’ve listened to speculation about whether Harper Lee wrote anything after To Kill a Mockingbird (1960). Like other fans of the Pulitzer Prize-winning novel, I’ve hoped that one day a masterpiece would be discovered squirrelled under the publicity-shy author’s bed. Now, after 55 years, Lee has published another novel. 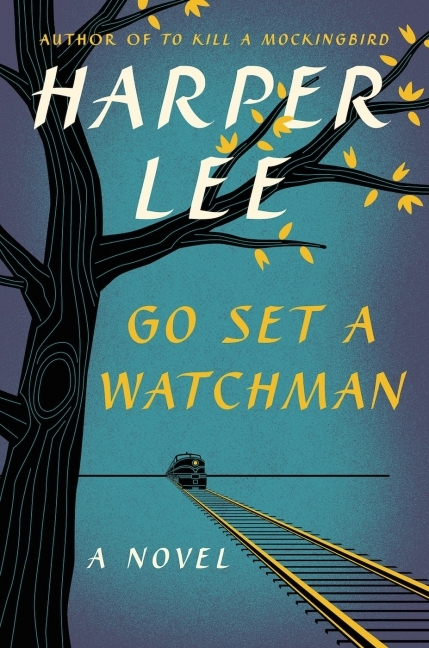 Go Set a Watchman is not the masterpiece some of us hoped she’d been working on for the past half-century. Rather, it’s a book she wrote before Mockingbird. It tells a different story about the same characters two decades later. In other words, Lee wrote the sequel first. Jean Louise “Scout” Finch, all grown up and living in New York City, has travelled back to her hometown of Maycomb, Alabama, at the age of 26. Watchman is a disappointing book, both in characterization and craft. Many early reviews have focused on the revelation that Atticus Finch is a racist of the paternalistic variety. My critique is not with the portrayal of Atticus. While he says truly abhorrent things, he comes across as a more compelling character than his daughter. Over the course of two decades, Atticus became a more complex character, but Scout did not. Who among us, when confronted with the sins of others, hasn’t felt self-righteous? Yet focusing on the specks in the eyes of our neighbors may blind us to the logs in our own. Real moral progress comes not when we’re shocked at the sins of others, but when we’re dismayed to discern the sin in our own hearts. It doesn’t seem to occur to Scout that she could ever be capable of hypocrisy or that a hint of racism might lurk in her own heart. There are charming scenes in Go Set a Watchman when the adult Scout has flashbacks to childhood days of playing with Jem and Dill. These passages draw the reader in, and Hohoff apparently recognized that they were the strength of the book rather than the harangues over states’ rights and individual conscience. She sent the novelist back to her typewriter, to great effect. Lee found her narrative voice in an 8-year-old girl who isn’t yet sure of how the world works. Telling the story through the perspective of a child allowed Mockingbird to preach without the preachiness of Watchman. I’m glad HarperCollins has published Lee’s first attempt at a novel, even though I don’t consider it good fiction. Setting her two novels side by side vividly illustrates the proverb that “a wise man listens to advice” (Prov. 12:15). What a hopeful thought that, because she listened to constructive criticism, a woman who began as a mediocre novelist wrote a book of enduring literary value that will continue to exert moral influence for generations to come. Harper Lee. Go Set a Watchman: A Novel. New York, NY: HarperCollins, 2015. 288 pp. $27.99.